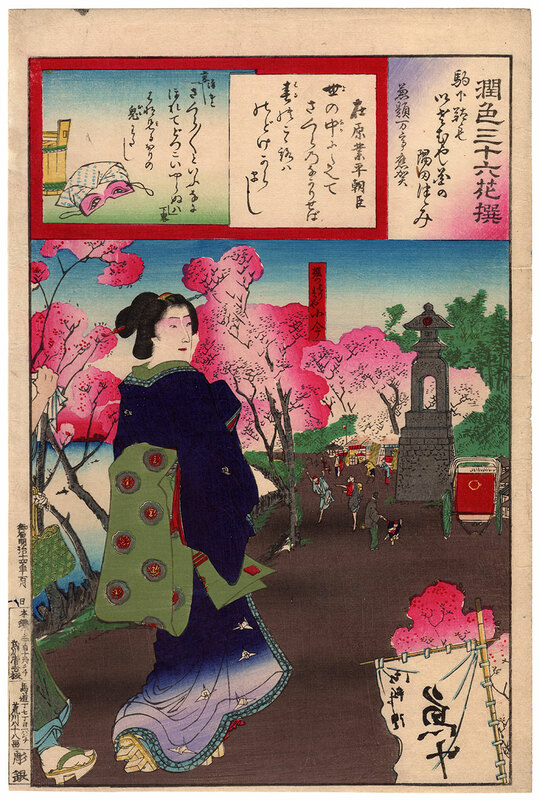 If in all the world / there were no cherry blossoms / what tranquility / the heart would surely know / whenever springtime comes (世の中に たえて桜の なかりせば 春の心は のどけからまし). The verses of the famous poet Ariwara no Narihira (在原業平), shown in the central box of the upper part of this woodblock print, accompany the depiction of the courtesan Koima (小今), of the pleasure house Harimaya (はりまや), walking among blossoming sakura trees. 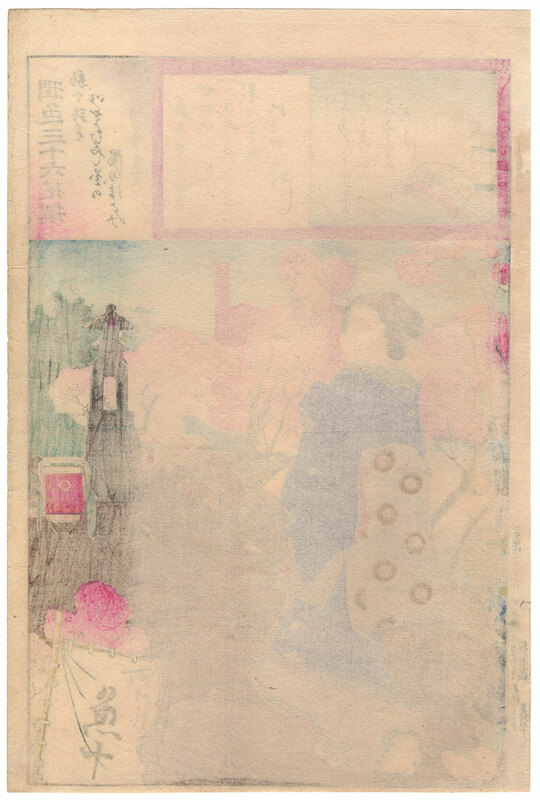 The work is taken from the series "Embellishments for a Set of Thirty-six Immortal Flowers" (潤色三十六花撰), made in 1881 by the artist Toyohara Kunichika (豊原国周) and printed by the publisher Takegawa Seikichi (武川清吉). The print on Japanese washi paper (和紙), despite the right signs of aging, is in good general condition, thanks also to a relining carried out on the back.